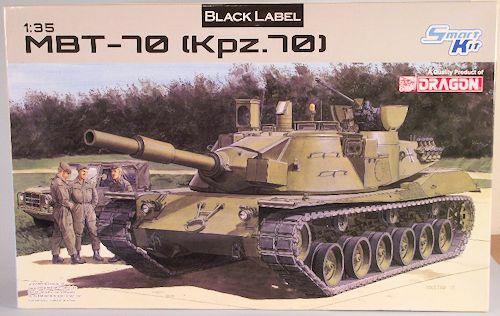 The MBT-70 (German: KPz 70) was a 1960s German-U.S. joint project to develop a new main battle tank. It was to be equipped with a number of advanced features including a newly developed hydropneumatic "kneeling" suspension. Another unique feature was the entire crew being housed in the turret. In 1969 the project was over budget and Germany withdrew from the effort and developed a new main battle tank, the Leopard 2. In the US the development continued, until in 1971 when Congress cancelled the program. The MBT-70 is considered the "grandfather" of the Leopard 2 and the M1 Abrams. Fourteen MBT-70/KPz.70 prototypes and test-beds were built. There are survivors in the U.S.; one MBT-70 prototype was located at the US Army Ordnance Museum in Aberdeen, Maryland, another is displayed Fort Knox, Kentucky, and a mild steel prototype is at the Military Museum of Southern New England in Danbury, Connecticut. To the best of my knowledge this is the first 1/35 scale plastic kit of this tank, it is the German KPz-70. Aurora had a U.S. MBT-70 many years ago in a different scale. This kit is a new tool from Dragon and the second in the Black Label Series. The KPz 70 prototype at the Panzermuseum in Munster, Germany, was measured and converted this 1/35 scale kit. This kit is accurate for the Panzermuseum version. 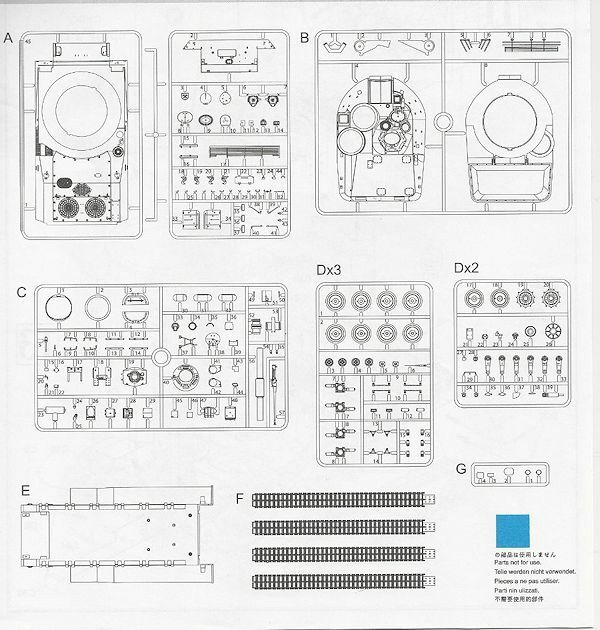 There are even 16 color images of the museum tank included in a brochure with the kit. The main gun has a hollow muzzle. There is no photo-etch or steel tow cable. 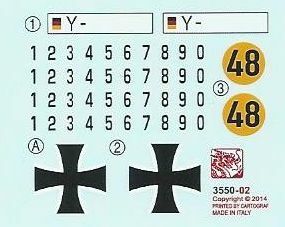 The decals look to be in register and provide markings for the German version, with a blank license plate and the individual numbers to fill it in. The instructions are well thought out and easy to follow, although you may want to modify the build sequence to allow for easy painting. There is a correction to step 15 included. 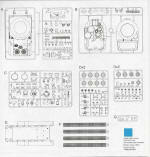 This kit looks like it could be built by all skill levels. I am excited about it because it is a first in 1/35 plastic. I got it to build for fun, relaxation and enjoyment. It will be all of that. There is also plenty of possibilities for the very serious builder to do some scratch building for each different prototype. I have read a lot of comments about how it is not a U.S. MBT-70, but in fact a German version KPz-70. That is true, the kit even contains the German markings. Since each one was a prototype that was modified and changed as the requirements and building specs changed I know it is not accurate for all versions. Even the 2 U.S. versions at Aberdeen and Fort Knox are different. The main differences I see are the rear of the hull and the main gun barrel. Those would be easy conversions that should only take some flat sheet plastic, a few parts swaps and some new tube for the barrel to convert this one to a U.S. version. This kit was courtesy of my wallet and the pre-order list from Dragon.